Most people wouldn’t consider a tumble down the front porch stairs a fortunate accident. Fort Worth grandmother Ann Lanning not only considers her mishap lucky, but a lifesaver. "I walk with a cane because I have a balance issue. I took two small steps and my legs flew out from under me," the 73-year-old says, remembering the fall that bruised the side of her face so badly, she suffered permanent hearing loss. Damaged nerves behind her left eardrum, caused by head trauma, sent Ann to a specialist who prescribed a hearing aid. Ann considers what happened next providential. "I came out of the office after my hearing aid appointment, looked down the hallway and noticed a sign for Solis," Ann explains referring to the mammography and imaging provider with centers throughout North Texas. "I get a mammogram every year. Seeing that sign reminded me I was due for a one so I immediately walked in to make an appointment." A fortunate opening in the schedule allowed Ann to get the routine screening minutes after she walked through the door. "I went home and didn't think more about it," she adds. The radiologist, noticing something suspicious on the scan, asked Ann to return for an additional mammogram. "They showed me the scan and I could see a tiny little growth," says the native of Warrington, England. A biopsy on September 25, 2016 confirmed a diagnosis of invasive ductal carcinoma in the right breast. The following week, Ann underwent a lumpectomy to remove the 8mm, "smaller than a pea" tumor. Pathology reports indicated the tissue surrounding the cancer and lymph nodes were clear. An appointment with Dr. Kathleen Shide, a radiation oncologist at Texas Oncology-Fort Worth 8th Ave., was the next step in the patient's treatment. Ann's stage IA diagnosis made her a candidate for partial breast irradiation using brachytherapy—a treatment option not available at all oncology centers. 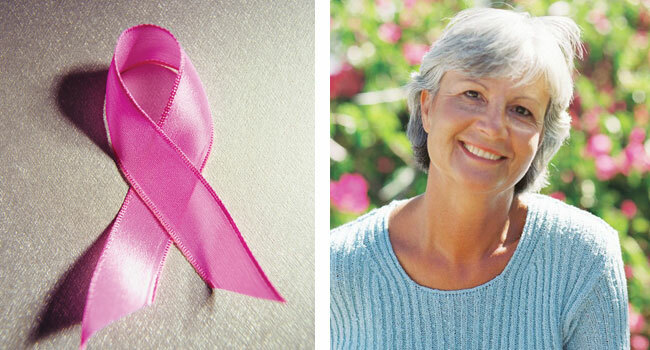 This highly precise form of radiation is delivered specifically to the part of the breast where the tumor was removed. Using a six-inch applicator inserted into the breast, the targeted treatment reduces radiation exposure to surrounding healthy tissue. "I was told the size of my cancer was a good match for the treatment," Ann explains. "It can't be used on a large lump." The patient received radiation doses twice a day for five days. Dr. Shide has the specific skills and knowledge to utilize brachytherapy technology in partnership with highly trained physicists at Texas Oncology. "The treatments lasted four minutes and were given six hours apart," Ann says describing the procedure. "There was no discomfort or side effects. On the last day, the doctor took out the applicator and I never felt it." Since then, Ann has received two clear mammograms, and will return to Texas Oncology every year to see medical oncologist Dr. Chi Pham. "The staff at Texas Oncology was wonderful," Ann says. "They took care of me and the nurses were very kind. Every procedure was explained in detail." For the next five years, this busy grandmother – and now cancer survivor – will take an estrogen inhibitor used for hormone receptor-positive breast cancer. Prior to diagnosis, Ann took an estrogen pill every day for 30 years to prevent hot flashes and other post-menopausal symptoms. She began hormone replacement therapy in her late 40s. "My physicians told me to stop taking that pill immediately and I haven't taken it since," Ann continues. "They said the estrogen activated my breast cancer." She now cautions women about taking replacement hormones long-term after a cancer diagnosis. "Try to struggle through the symptoms as best you can," she says encouragingly. A family history of the disease is also part of her medical history. Ann's sister battled breast cancer for nine years. She died last year, just as her sibling was diagnosed with the same illness. Ann believes the spur-of-the-moment decision to get a mammogram that day was more than just luck. She sees there was a bigger purpose. "God pointed the way," Ann says decidedly. "It was like he said, 'go in there' and I did. I can't believe how blessed I am and I'm forever grateful for the support I received." Her strong faith helped Ann cope with the initial diagnosis and surgery. While the word "cancer" can often create a tailspin of fear, confusion and worry for a new patient, Ann received the news with calm resolve. "When they told me I had cancer I thought, okay, I'll do what I have to do and everything will be all right," she recalls. "I was not overly anxious." Ann credits personalized care and state-of-the-art technology offered at Texas Oncology, as well as support from family, neighbors and her church community, for a quick recovery. "The staff at Texas Oncology was amazing," Ann says. "They really are incredible people. There was one nurse who sat with me during treatment, which tremendously impacted my experience." A cancer diagnosis is a difficult, life-changing event, but a compassionate medical team, and frequent visits from her two sons, eased the transition. "My husband took me for my treatments every day and then took care of me at the house," she says. "He was so comforting to me and always very positive." Ann's cheerful approach to life and overall gratitude also aided her recuperation. 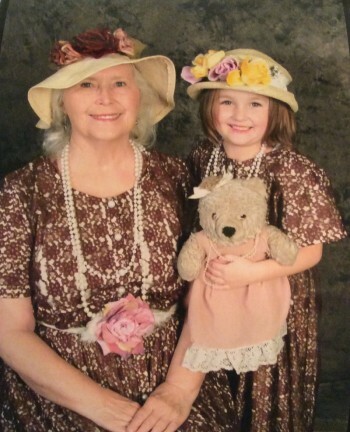 She spends a lot of time with her 8-year-old granddaughter who keeps her young at heart. "I couldn't have wished for more support," she adds enthusiastically. "I am a very fortunate woman. I have wonderful people around me." Her advice to other woman is equally full of optimism and hope, but she also recommends being alert to changes in your body. "I would say to anybody check your breasts often because the quicker you find a lump or other changes, the better off you are going to be," Ann points out. "I'm living proof of that."